When you sign up, you can also invite friends to sign up. When they sign up, you get 10 Influence Points. The more influence points you have, the higher your chances are of getting upgraded wines. Also, every time a friend’s first order ships, you will get 20 in site credit to buy wine! Each deal is made up of variously priced bottles. Choose how many bottles you want and pay for each at the lowest priced bottle. for example, if an offer has bottles available between $25-$100, you will only pay $25 for each. Every bottle is eligible for a free upgrade to a more expensive bottle. And the best part is that you can find out your upgrades as soon as you checkout! Build up those Influence Points when you buy wine, participate in discussions and other activities on the site, as well as refer friends. The more points, the more upgrades! 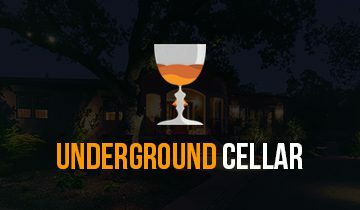 Underground Cellar allow you to accumulate orders and store them for free for an unlimited amount of time in their state-of-the-art, humidity and temperature controlled wine cellar located in Napa Valley, CA. By building up your shipment, you, you can save on shipping fees (it’s only $5 to ship 6 bottles, but shipping is free on 12 or more bottles). Plus when they ship you your wine, it will arrive chilled and ready to drink. Want to see a fun little video that explains it all? Click here. Have fun shopping….and drinking! Cheers! This entry was posted in Lifestyle, Wine and tagged CloudCellar, Influence Points, online wine retail, Underground Cellar, UndergroundCellar.com by Please The Palate.